Pastor Jack Hyles was led by God to pastor a little church on the outskirts of Chicago in 1959. That church is the great First Baptist Church Of Hammond, Indiana (hereafter referred to as, FBCH). At the time Brother Hyles came to Hammond in 1959 (prior to the jet-age becoming mainstream) the area had a booming economy, as did many cities up and down the Lake of Michigan travel routes (the history of the early 20th century is fascinating). I've seen photos of men cutting blocks of ice from Lake Michigan in Chicago during the winter, to be hauled by horse-and-cart to people's homes to keep the ice-box cold. They didn't call them “refrigerators” back then. They were boxes that used a big block of ice on the bottom to cool foods. Can you imagine? That was less than 100 years ago. God is amazing! God used Pastor Hyles to build “The World's Largest Sunday School” (which was in the Guinness world book of records) with over 25,000 people attending every Sunday. Hundreds of buses replaced the old-time horses and wagons of Dwight L. Moody's time. Jack Hyles literally was a modern-day D.L. Moody (1837-1899), concerned about the souls of little boys and girls (many who lived in utter poverty throughout the Chicago area). "I can relate to little Johnny. The first toy I ever owned the church gave to me. The first hamburger l ever ate was bought for me by the church. The first balloon I ever blew up I got at church. I know! I will never forget the day that I walked into the Fernwood Baptist Church as a five-year-old lad. The Beginner Superintendent whose name was Mrs. Bethel, took me to the Beginner Department. She put me on her knee. My little bare feet were obvious. My knees were showing through the holes and through the patches of my pants. I had on a little white T-shirt, and I noticed that all the other little boys and girls had on shoes and the boys had white shirts and ties. Mrs. Bethel put me on her knee. She said, "Boys and girls, we have a visitor this morning. His name is Jackie-boy Hyles. Aren't we glad to have him?" Nobody said a word. Then Mrs. Bethel looked at me and said, "Jackie-boy, Jesus loves you" I'll never forget how I felt! Mama had told me that, but nobody else had ever told me! I looked up and said the first words that I had said that morning. I asked, "Mrs. Bethel, does Jesus love me as much as He loves the little boys and girls that have on shoes?" A tear escaped her eye and invaded my brow as she said, "Jackie-boy, He probably loves you more than He loves anybody here this morning." The joy of Heaven flooded my soul as I heard my teacher tell me that Jesus loved me. There are millions of little Jackie-boys all over America who need to be contacted and brought to church, to sit in a pew and look up and see a man of God walk to the pulpit who has compassion which makes a difference." 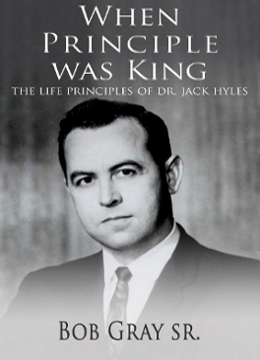 There's a lot of wonderful things that people don't know about Pastor Jack Hyles (1926-2001). I had the privilege of attended Hyles-Anderson College between 1985-1993. Many young people around the world could only dream of having had such an opportunity to attend Bible college under the ministry of the great Dr. Jack Hyles. Brother Hyles was great in that he proclaimed a great Gospel, and he walked with a great God and had a great God. The Lord Jesus Christ built a great work through Pastor Jack Hyles between 1959 and 2001 when Pastor Hyles went home to be with the Lord. Thank God for Pastor Jack Hyles, the mightiest preacher of the 20th century! There were many affluent members (millionaires) from the business community who were members of FBCH in 1959. For the first year Pastor Hyles only preached on Jesus. Each Sunday he preached a different theme about Christ (Jesus the Rose of Sharon, Jesus the Lamb of God, Jesus the Great Physician, and so forth). Dr. Hyles wanted his congregation to come to know who Jesus was before beginning to preach on Biblical standards of separation, such as prohibiting mixed bathing between the sexes. It was after one year that Pastor Hyles started preaching on standards and separation. As expected, some of the wealthy people in the church didn't like Pastor Hyles' Biblical preaching. Pastor Hyles was threatened, shot at, someone tried to burn his home down, someone did burn the church down! Seven millionaires quit the church. Anybody who questions Pastor Hyles financial integrity doesn't know what they're talking about. Brother Hyles' preaching drove away all the big shots, wealthy snobs and self-righteous crowd. And amen to that! 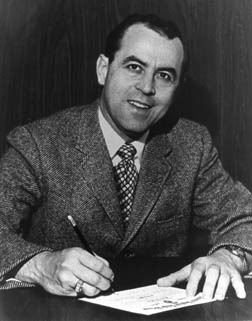 Jack Hyles began preaching at the age of 19 and pastored for 54 years. These pastorates include churches that varied in membership from 44 to over 100,000. All of these pastorates, other than First Baptist Church, were in the state of Texas: first, Marris Chapel Baptist Church of Bogata, Texas; then to Grange Hall Baptist Church in Marshall, Texas; from there to Southside Baptist Church of Henderson, Texas; and then to Miller Road Baptist Church of Garland, Texas. He pastored Miller Road Baptist Church for approximately 7 years and saw this church, with the Lord's help, grow from a membership of 44 to over 4,000. It was from Miller Road Baptist Church that he was called to First Baptist Church of Hammond, Indiana. 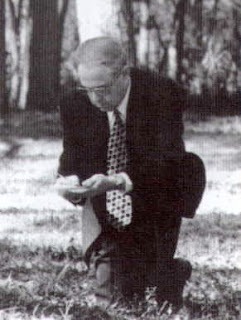 Dr. Hyles was Pastor of First Baptist Church from August, 1959 to February, 2001. This church has a membership of over 100,000 and averaged 10,000 baptisms per year for the last five years of his ministry. For many years, the church has been acclaimed to have the "World's Largest Sunday School." During Dr. Hyles' ministry, First Baptist Church increased in property value from $70,000 to over $70,000,000. Besides his position as Pastor, Dr. Hyles was Founder and Chancellor of Hyles-Anderson College and Superintendent of Hammond Baptist Schools, which enrolled approximately 4,000 students last year. 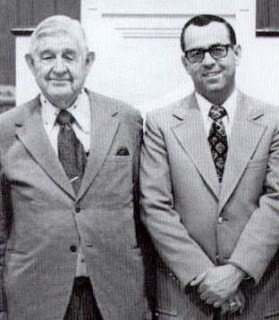 The doors of Hyles-Anderson College opened in 1972, and Dr. Hyles led in the training of over 1,000 pastors and missionaries currently serving in the United States and on foreign fields. The First Baptist Church also owns and operates a rescue mission and cemetery, both of which along with the schools, are located within 20 miles of the church. Dr. Hyles is the author of 49 books and pamphlets. Many of his sermons are available on audio and video tape. Dr. Hyles' experience covers numerous evangelistic campaigns, Bible conferences, etc. He preached in virtually every state of the Union and in many foreign countries. He hosted 37 annual Pastors' Schools, which have attracted thousands of preachers from all over the world. Thank God for Pastor Jack Hyles and First Baptist Church of Hammond, Indiana. Most of all, thank you Lord Jesus for all His undeserved blessings on us, for the inspired King James Bible and for dying on the cross for our sins. Amen and amen!